Mercedes-Benz X-Class Performance, Engine, Ride, Handling | What Car? Mercedes isn't afraid to admit it has teamed up with Nissan for the X-Class, with much of its underpinnings shared with the Japanese firm's Navara. That's no bad thing, because the Navara has a tough ladder chassis and more advanced suspension than most pick-ups, giving it better on-road manners. Yet it still retains very good towing and carrying figures. 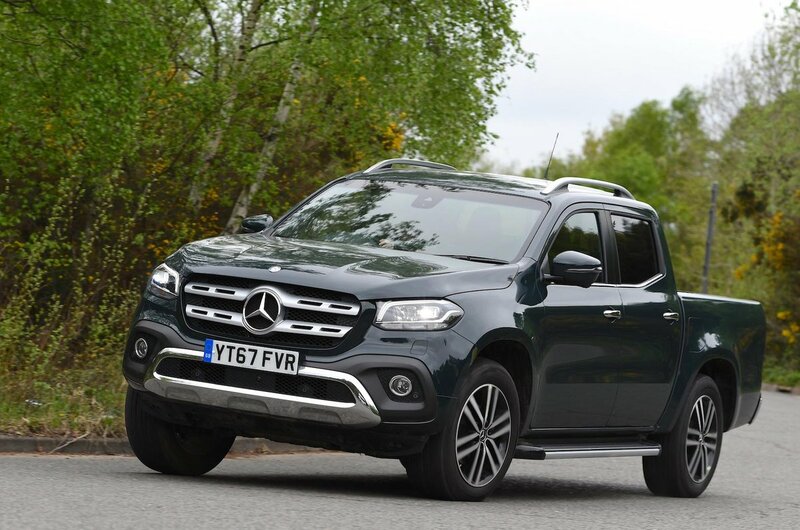 However, Mercedes has worked on the X-Class's ride and handling separately – and it's noticeable on the road. 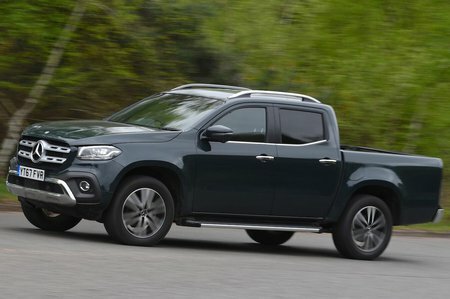 Don't go thinking it rides better than a similarly priced large SUV such as the Kia Sorento or Hyundai Santa Fe, but the X-Class remains more composed at all speeds than the Navara or Toyota Hilux. However, the Volkswagen Amarok and Ford Ranger manage to keep their passengers more comfortable still. 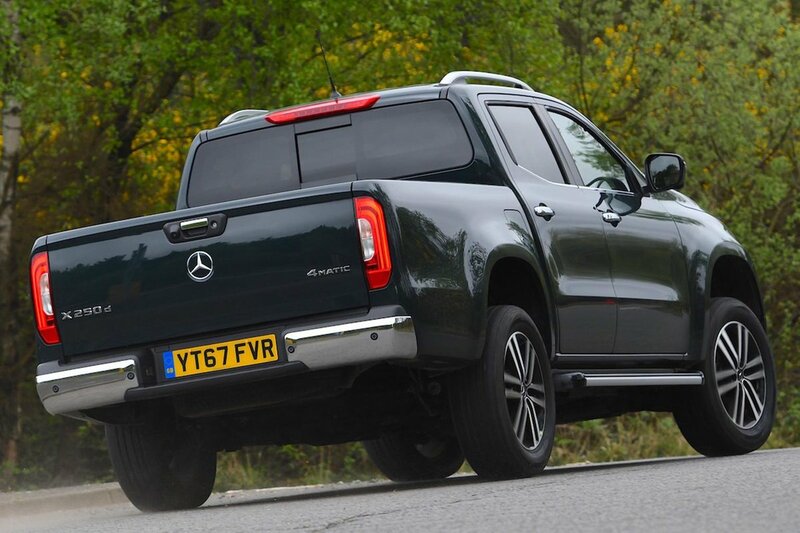 Another area in which the X-Class is better than the Navara – and most of its rivals, for that matter – is its steering, which stays consistently weighted and precise in two-wheel drive mode. Select four-wheel drive (standard across the range) and there's some corruption as the front wheels are called into action. But, again, no pick-up will put a smile on your face down a winding back road. They're designed to be tough, not agile, hence the X-Class's relatively slow steering set-up and pronounced body lean. That's also why there are no firecrackers in the engine range. A six-cylinder diesel will arrive next year, but for now there are two 2.3-litre four-cylinder diesels designed for low-down pull rather than outright pace. So far, we've tried the more powerful 187bhp 250d (the other being the 161bhp 220d), which is far from quick but offers good flexibility – and that's exactly what you want when towing. It stays hushed at a cruise, too, so it's a shame that Mercedes' automatic gearbox (standard on the 250d) is sluggish between changes. All X-Class models can tow 3500kg. That's enough to cover the majority of tasks and is the same as what the Navara, Amarok and Ranger offer.